Gift sets are popular this time of year and beauty gift sets are always a big hit! HOUSTON (KTRK) -- Gift sets are popular this time of year and beauty gift sets are always a big hit! But are they a deal? Beauty expert Rachel Gower from The Upper Hand Salon went shopping at several stores looking for the best deals on beauty gift sets. She likes the Ulta brand make-up gift set because it has dozens of pieces and one of the best values on the market. 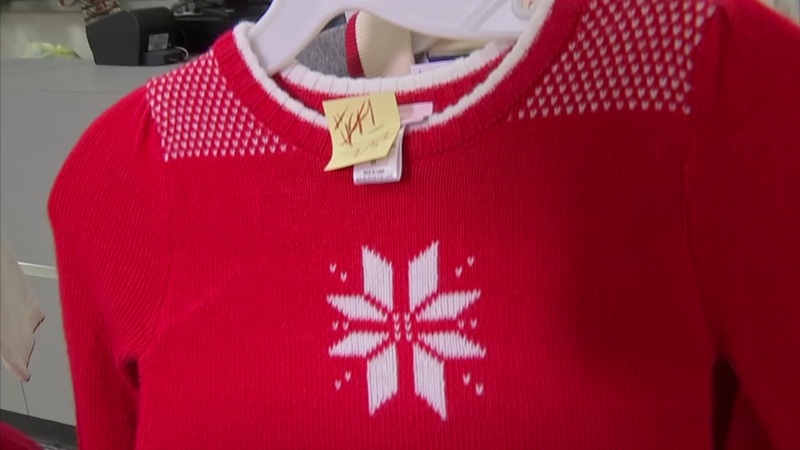 Thrift stores are a treasure trove of Christmas clothes in brand new condition, plus ugly sweaters too! Next up, is a box of set of the best selling mascaras for $28, the retail price is normally $62 for Lash Stash. For those that love perfume, Sephora has a gift set that lets you try 15 different perfumes. The retail value is $119, but the price is $65. Once you decide what perfume you love, simply take a certificate back to Sephora for a full size bottle as part of the gift. If you like high-end lipsticks, Smash box might be a good option. It's 6 lipsticks with a 'mattifier' with a retail value of $117 for $29. And finally for the teens and tweens, checkout this cool deal with this $30 Wet and Wild Gift Set at Walgreen's.